Hey guys! So we posted a recipe yesterday making gluten free peanut butter snickerdoodle cookies. We used this flour which is a game changer for all of you who eat gluten free. Bob's Red Mill is giving away a 5 lb bag so you can try it for yourself. 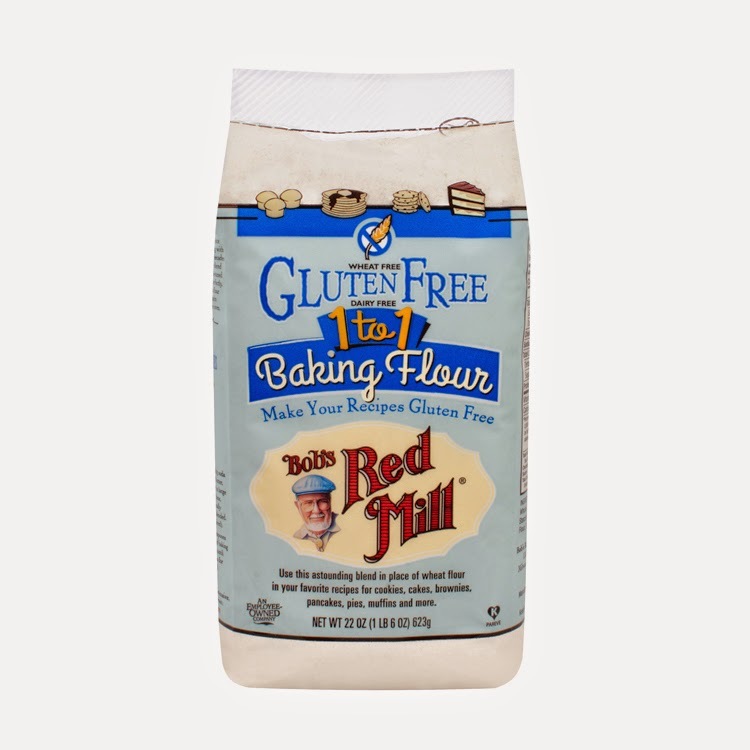 To enter: like Bob's Red Mill on Facebook and for extra entries you can like them on Twitter and/or comment on the blog telling us what you'd make with this flour. Good luck! I would make double chocolate cookies! I would make Pumpkin coconut bread! Waffles waffles waffles. Always waffles forever. You and Casey would get along... she is currently OBSESSED with waffles! I would make pancakes or waffles. I would make pumpkin pancakes! I would make muffins! Pumpkin, banana, blueberry, apple-cinnamon, zucchini, etc... I would also make banana chocolate chip cake, carrot-zucchini bars, etc... I just love to bake! Right now I blend several GF flours, but this would be fantastic to use! I'd LOVE to make a classic pound cake! I would most definitely be making cupcakes with these good stuff!